Some key levels approaching, could be a tough one, but it’s promising to see selling pressure into NYO. 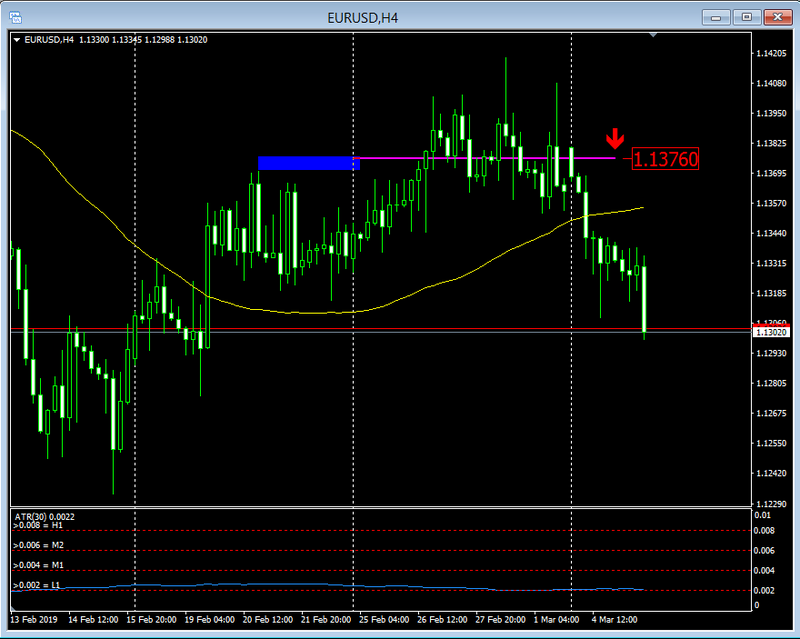 A break of these two listed levels and we should see a nice glide down to the TP. What am I missing? I don’t get the joke? Still trying to get everything straight in my head. He had a very good month. Bacon makes nearly twice that on avg if I recall correctly. Thanks for the explanation! I can be slow on the up take sometimes! But these phases are all part of the game. The bulk of the gains this month have been down to discretionary trades at what I considered to be appropriate levels of intraday supply. And yes, I’m typically looking at averaging around 12% a month when risking 2% per trade (you can scale this up or down depending how much you would perhaps risk per trade as it’s totally flexible to ones risk appetite). 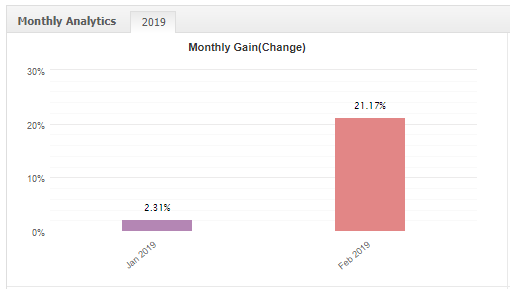 It’s also important to realise that on average I encounter two non-profitable trading months per year, which is why it’s not uncommon to occasionally achieve 20% months as they come along. It’s still early days, so let’s see how this progresses, however this month has been a great start to the year. It’s the end of a trading month - well, at least for me until we welcome in the first Monday of March. Unsurprisingly most of the trades took place in GBP.USD this month, with an average trade length of around three days. This sort of holding period should indicate to you that I don’t trade hard and fast, also it should make sense why the number of tradable signals are kinda low when using the higher TFs for analysis - logical really. After some thinking (yes, I can think from time to time) I’ve realised that the above account serves little purpose to the benefit of this thread as it not only contains the weekly signals in both GU and EU which I list here in this thread prior to the trading week, but is also contains a mix of the discretionary trades which I do not place here in this thread. Essentially what we’ve got is an account with both systematic and non-systematic trades. Therefore it’s an inaccurate measure of the signals which I am placing here at the start of each week, understood? 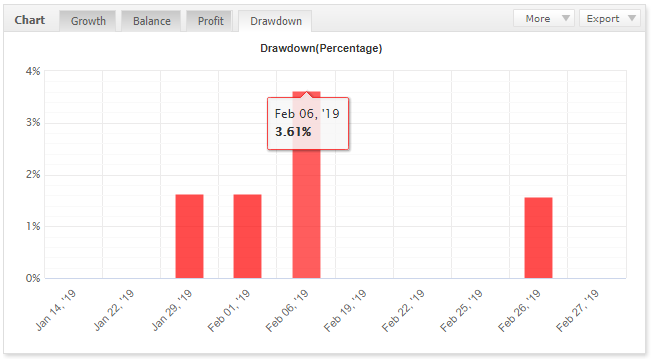 From here on in (March 2019 onwards) I’m going to add two accounts to the myfxbook link which I have provided. I’ll also stop using the account which we have been running for February 2019. So what’s the point in separating out these accounts? It’s so we can judge the systematic approach in isolation to any other discretionary trades skewing the actual returns. For example, in February just gone I know that over half of the gains were from trades other than those listed here in this thread. I don’t think that’s very useful. I will have the accounts up and running in myfxbook before we roll into Monday 4th March! Excellent results, nonetheless for Feb.
Have I missed this week’s trades? No you’ve not missed anything. I’ll post them up later today. Thanks. GBP.USD - This week I’m looking for a long opportunity at 1.3122 with a SL at 1.3059 and a TP of 1.3245. 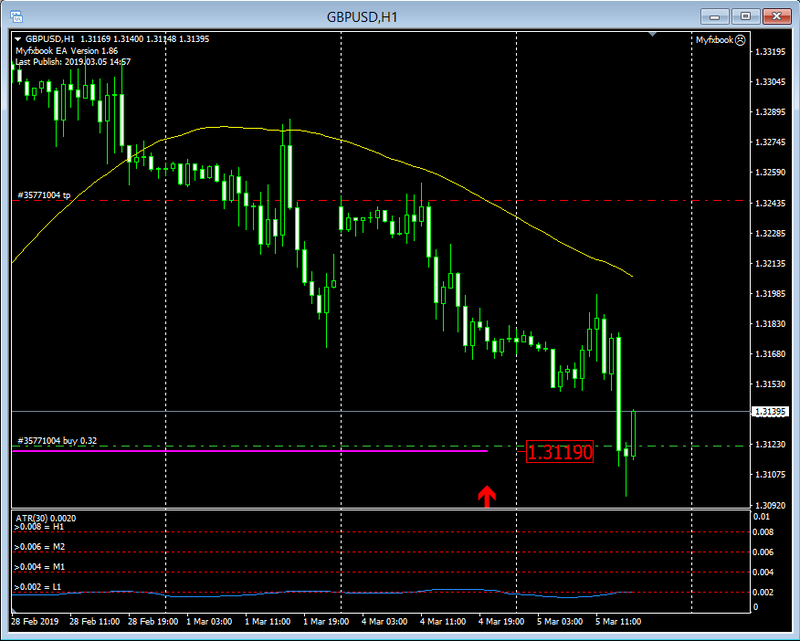 The position size is 0.32 std lots which represents a 2% risk of account on this position. 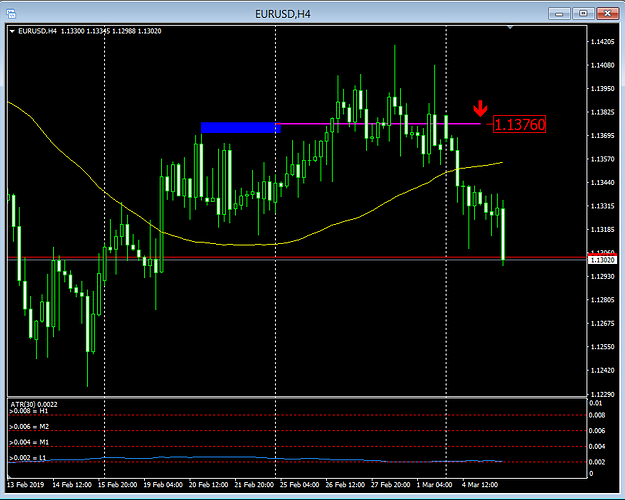 EUR.USD - This week I’m looking for a short opportunity at 1.1376 with a SL at 1.1418 and a TP of 1.1290. The position size is 0.47 std lots which represents a 2% risk of account on this position. We’ve still got the long position lining up in GBP.USD which looks alright on paper - on a more positive note I cleared a marginal 0.5% gain today in my discretionary account, it’s not massive but it’s better than nothing. Your MA on the 4H caused some delay on the way down to your trigger level - let’s hope it is less troublesome on the way back up again! And yes, it’s been a slow burner on the way down to the trigger level - it’s still a risky long in my view but this is a systematic approach where I just take the trades at the calculated levels and sit back and watch. If anything it’s nice to see a bounce at the entry level - if that counts for anything! The EUR.USD trade which I did not pull the trigger on because of it being a Sunday open price is well on its way to the TP level I had marked out - typical really! GU taking shape - lots of hurdles to overcome but it’s looking like the entry price was damn fine. it’s looking like the entry price was damn fine. I was also just admiring your choice of TP for the EU trade. 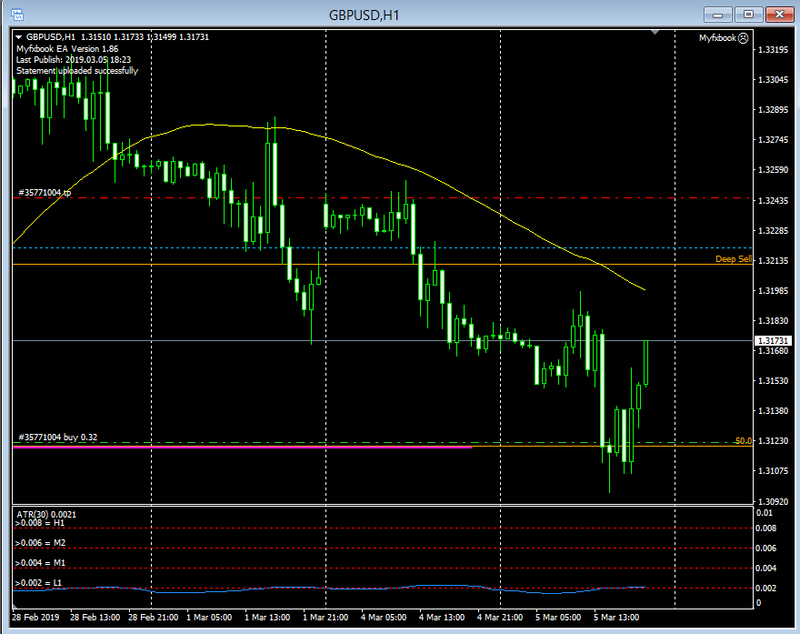 On my price feed it hit it by 1 pip and is now bouncing off. Nice call!